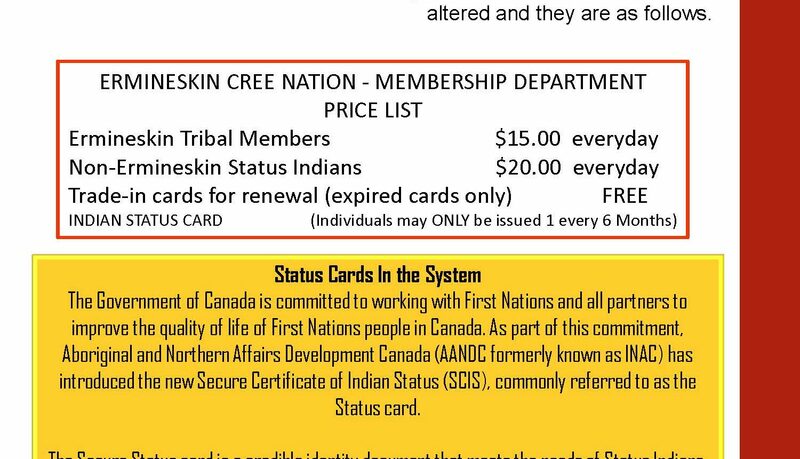 To provide the general Tribal membership with guidance in the proper documentation for all Registrations of all events for inclusion into Tribal membership. 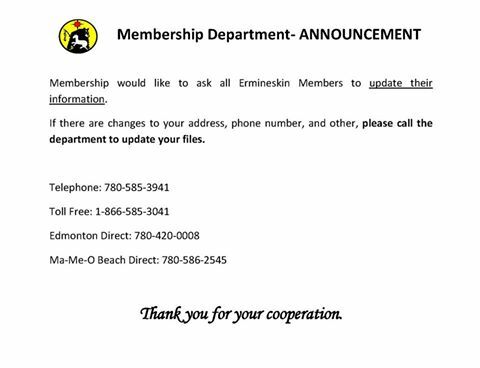 To assist and provide certain information to Membership applicants for their inquiries pertaining to Membership. To provide qualified and capable leadership to Tribal members pertaining to Membership. To assist the Tribal Chief and Council in ensuring that the Membership Law is implemented properly and accordingly. To provide seminars and workshops to both the general Tribal Membership population and Tribal Chief and Council in further educating them with the Membership Law, its procedures and its implications, when the need arises. To establish and maintain proper Trust accounting procedures in regards to the Accounts held at the Peace Hills Trust in Maskwacis. 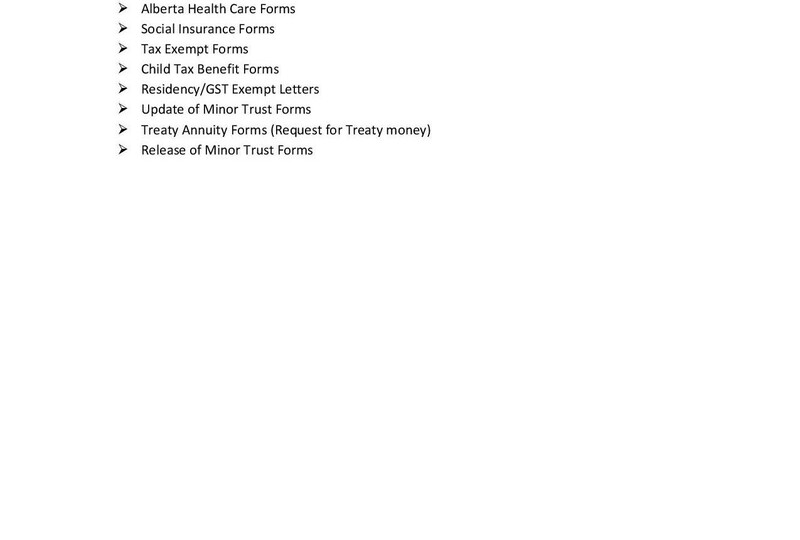 To establish and maintain proper Trust copies and records of the cheques as received by the Department of Indian Affairs and to ensure that the applicant receives his/her monies in due time. To properly administer this account according to established procedures. To oversee that proper procedures are implemented according to established procedures and to consult with the Tribal Chief and Council or the Tribal Administrator, when the need arises. 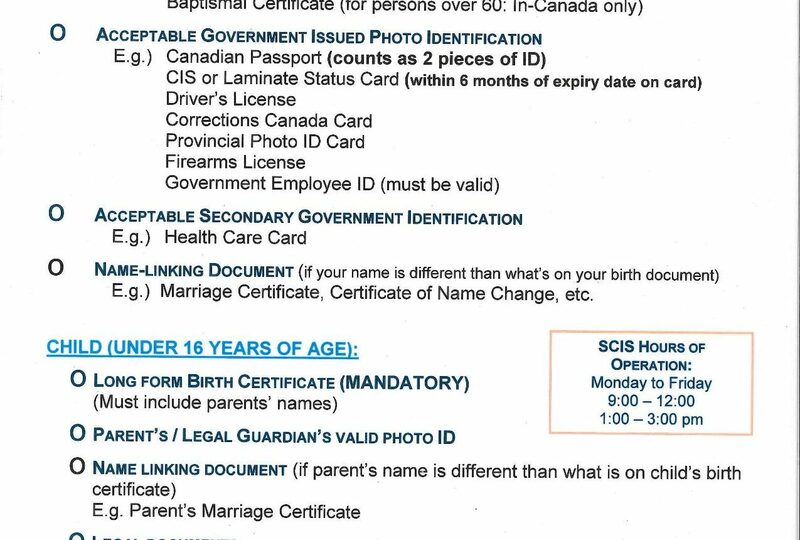 Status cards are issued daily ONLY between the hours of 9am-3:30pm- no exceptions. 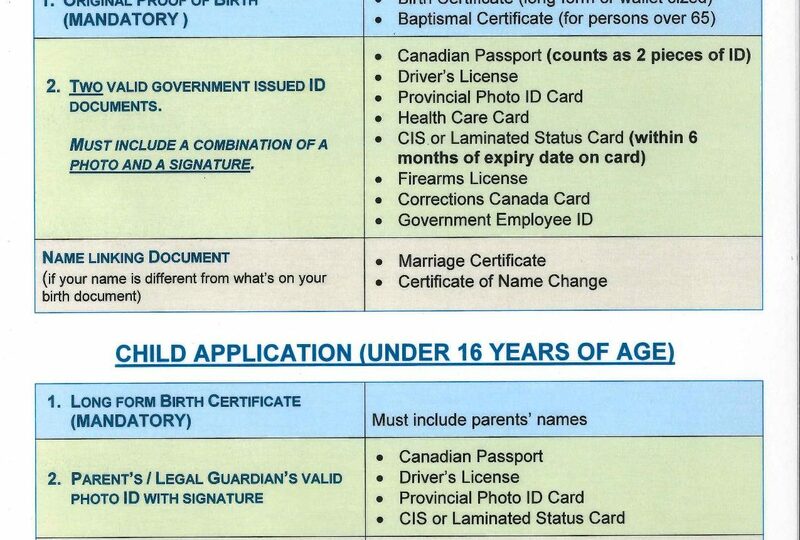 Renewals-must exchange in old card plus one piece of identification. 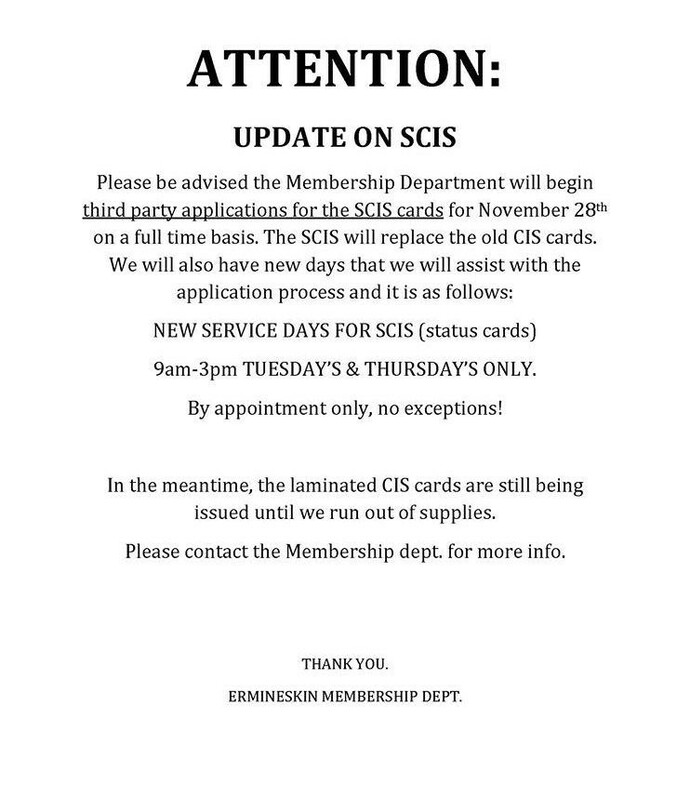 Lost cards within 6 months since last issued status card-must have police file number that card was reported stolen; when the CIS is issued the client will be put on the one (1) year waiting list after the CIS is issued. 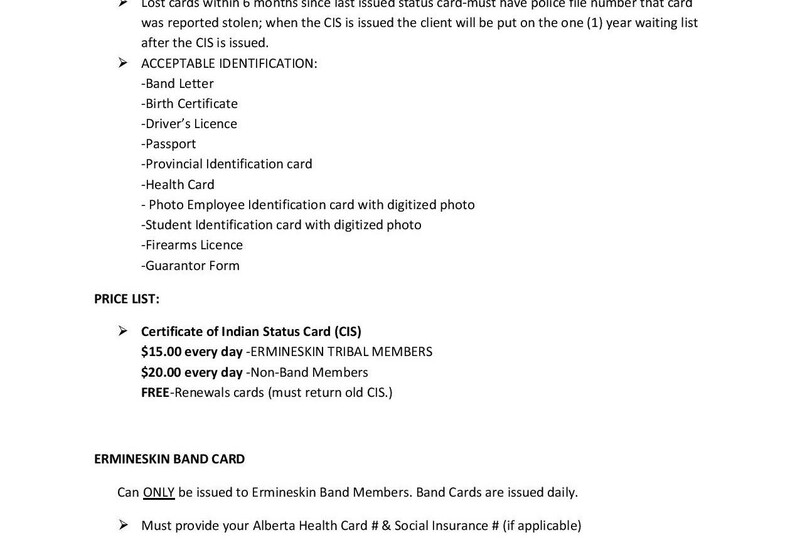 Can ONLY be issued to Ermineskin Band Members. 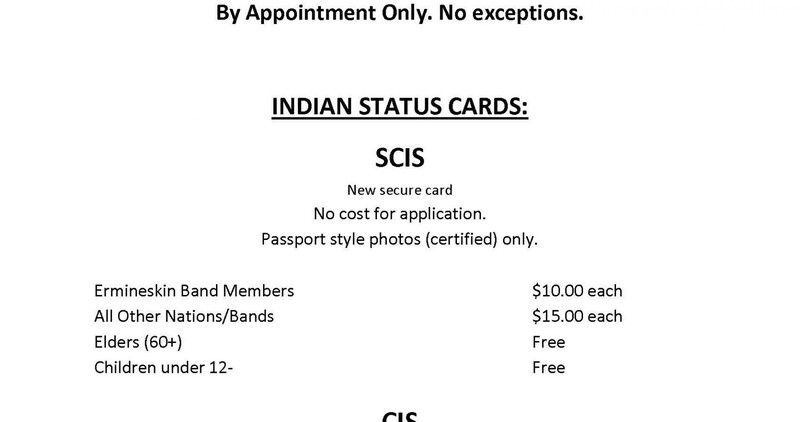 Band Cards are issued daily.